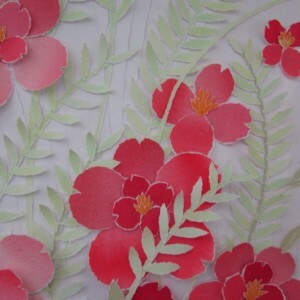 Bright red poppies torn from paper painted with watercolor. 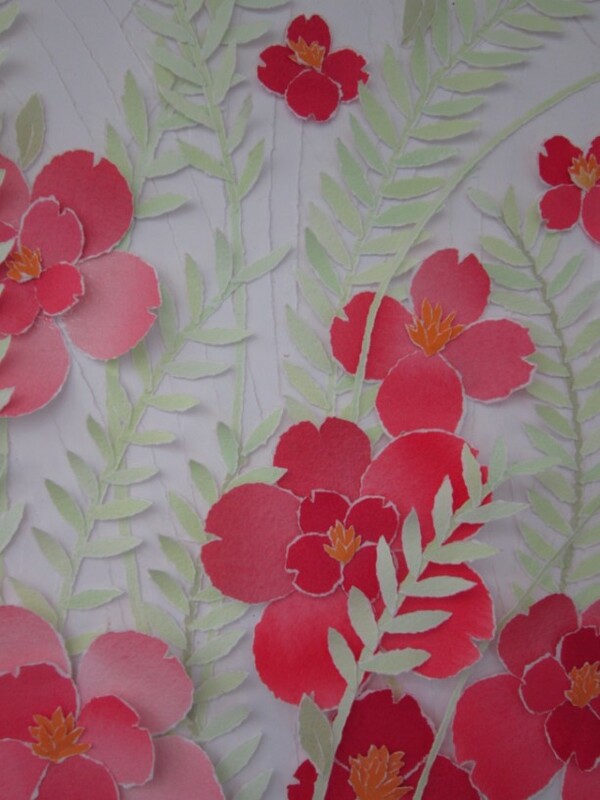 Each flower is made by tearing the petals one by one and putting them together just as a flower would grow. 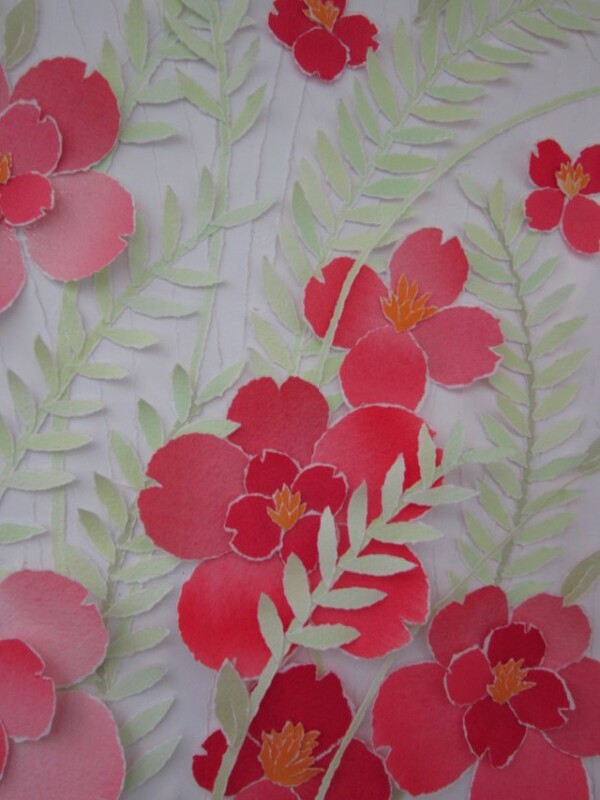 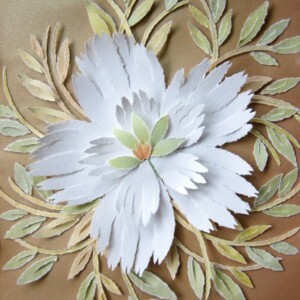 Leaves are also torn by hand from paper painted with pale green and assembled on a stem to make a fern sword. 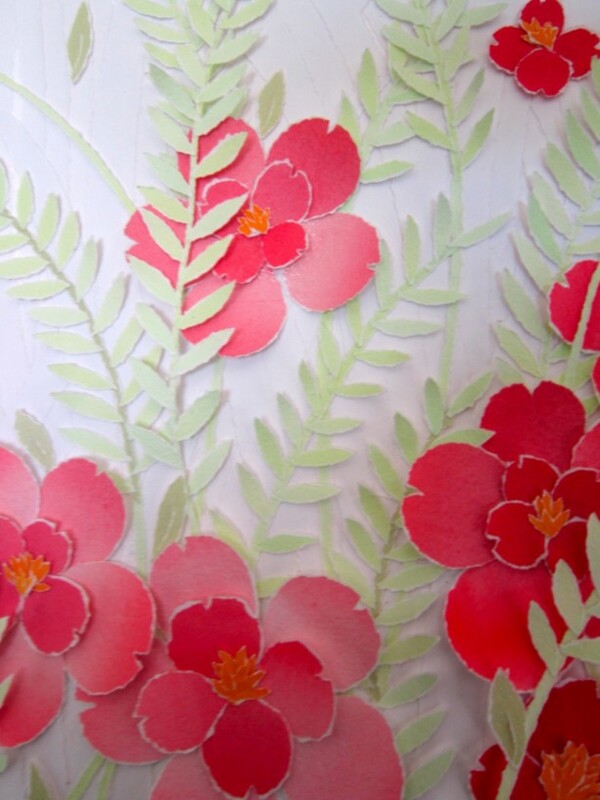 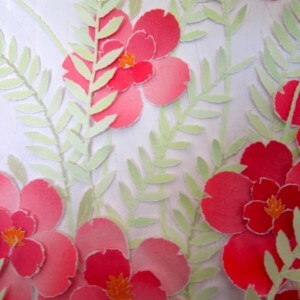 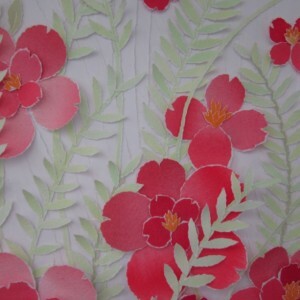 All the flowers and fern swords are placed on a torn paper background creating a dimensional, bright, light design - then the art is fixed to a matt board and can be hung as it is or framed. 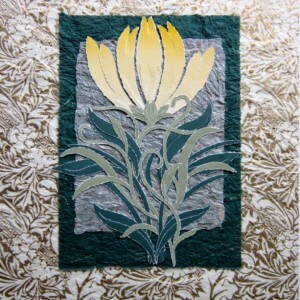 Size is 16" X 16".